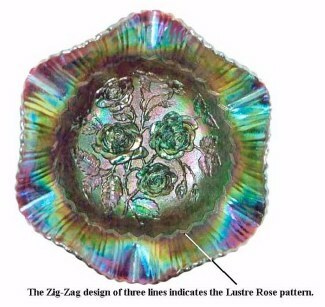 A notable element found only on examples in the Lustre Rose pattern: Just down from the top edge of those bowls, you will find a zig-zag design composed of 3 lines which encircle the interior. 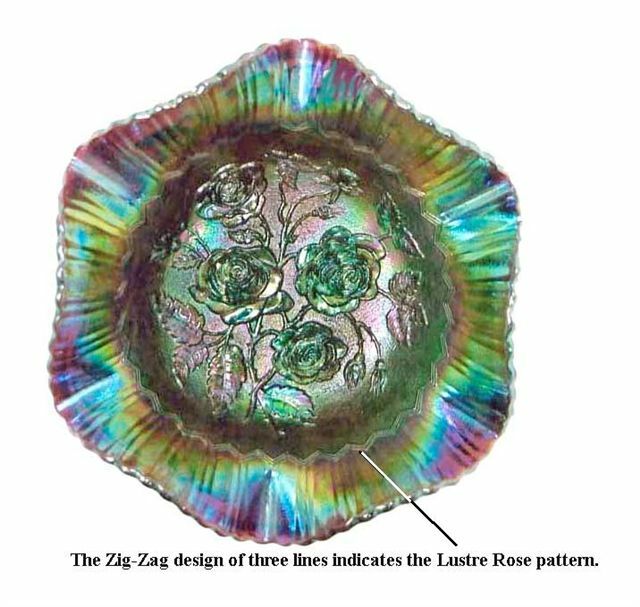 As you view the exterior of the purple Open Rose plate, you will see the double straight lines at intervals around the 9” plate. 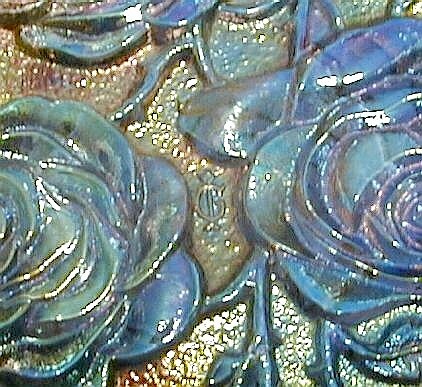 These are always present in the Open Rose pattern. 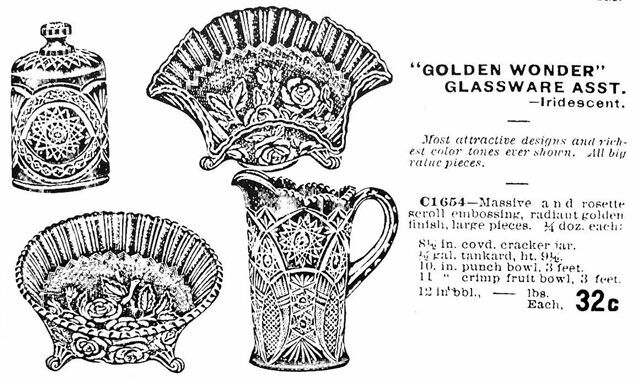 This segment illustrates the many reproductions which were marketed during the 1960s and 1970s in a wide variety of shapes. 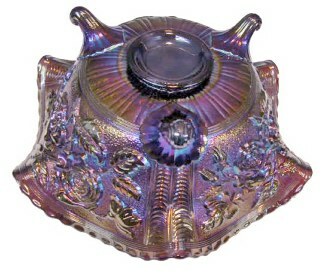 Colors such as smoke, meadow green, white and pink were not used in production of the vintage examples. All items were marked with either the IG, LIG, or ALIG logos. Sometimes these trademarks were inserted within the design and are somewhat difficult to detect. 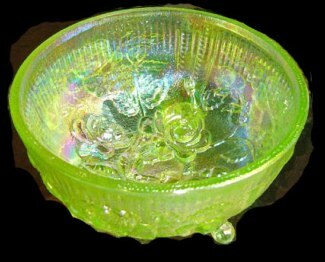 There is nothing wrong with collecting these reproductions if you like them and the price is appropriate for the item. 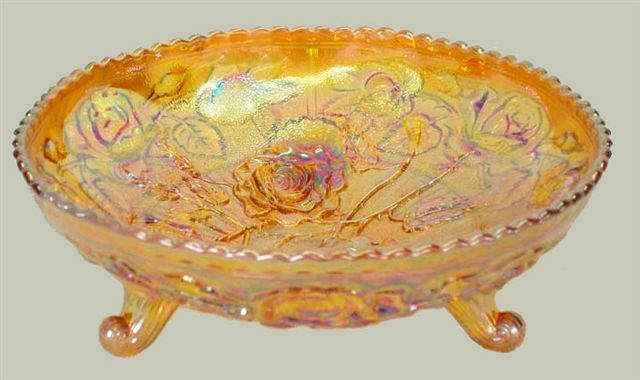 Imperial Glass Co. is no longer in business and since 40 years have passed, the reproductions will be of antique quality in another few short years. 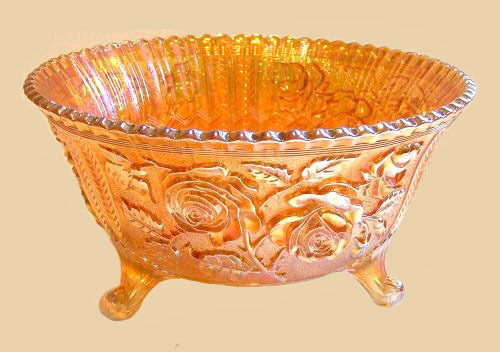 OPEN ROSE Vintage Centerpiece Bowl. Marigold. 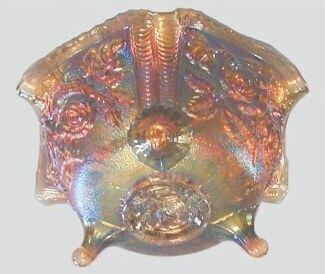 LUSTRE ROSE 9.75 in. diam. x 5 in. deep. Marigold. 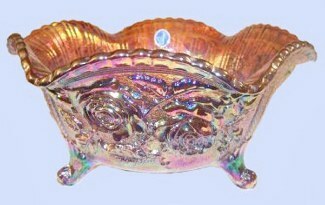 Vintage LUSTRE ROSE Fruit Bowl - 11 in. in Purple. 11 in. 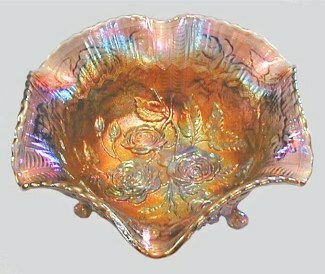 LUSTRE ROSE FRUIT Bowl Exterior. Purple. 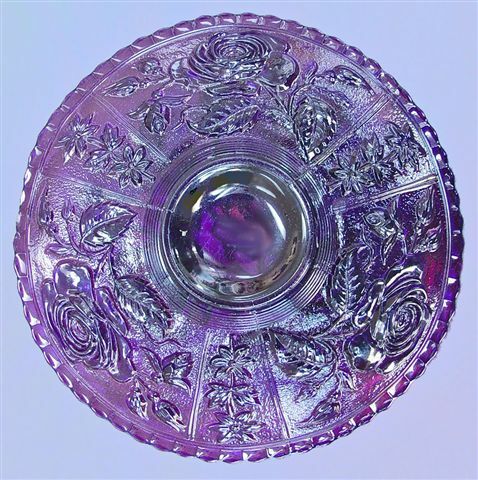 Exterior of purple 9 in.Vintage OPEN ROSE PLATE. 10 in. 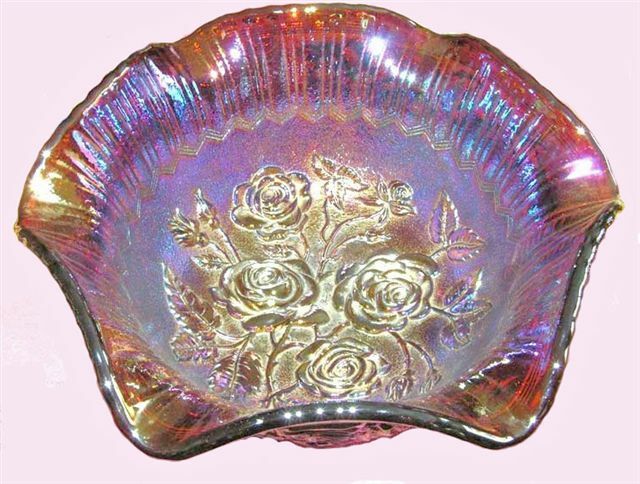 LUSTRE ROSE- (IG) Repro. 5 in. high.-Purple. The wisdom of Solomon dominated the book of Proverbs. 3,000 proverbs provides a substantial library from which to build this book of wisdom.